Facebook quietly made an extraordinary announcement last night. 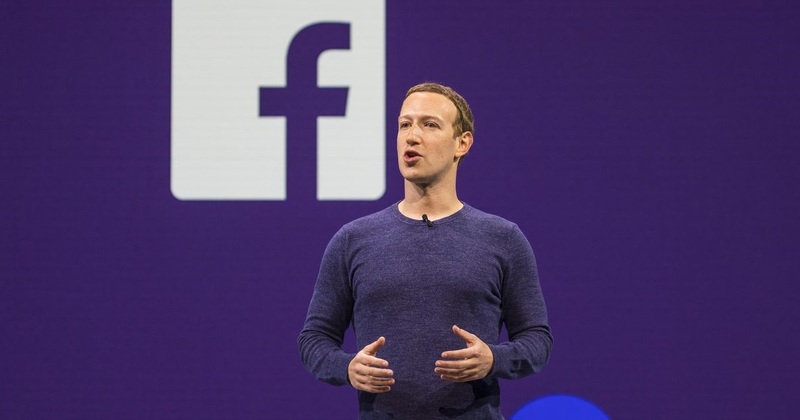 The social media giant said it would ban all "praise, support and representation of white nationalism and white separatism" on both Facebook and Instagram, reversing an earlier policy. The ban would be enforced from next week and will apply globally. Its not known which far-right Facebook Pages and accounts would be affected as a result of the ban, but the impact is likely to be significant. In a statement last night Facebook said: "Our policies have long prohibited hateful treatment of people based on characteristics such as race, ethnicity or religion — and that has always included white supremacy. We didn’t originally apply the same rationale to expressions of white nationalism and white separatism because we were thinking about broader concepts of nationalism and separatism — things like American pride and Basque separatism, which are an important part of people’s identity." "But over the past three months our conversations with members of civil society and academics who are experts in race relations around the world have confirmed that white nationalism and white separatism cannot be meaningfully separated from white supremacy and organized hate groups." "Our own review of hate figures and organizations – as defined by our Dangerous Individuals & Organizations policy – further revealed the overlap between white nationalism and white separatism and white supremacy. Going forward, while people will still be able to demonstrate pride in their ethnic heritage, we will not tolerate praise or support for white nationalism and white separatism." Facebook also admitted it needs to get better and faster at removing hate from its platforms. A few weeks ago the site banned the far-right agitator Tommy Robinson after his posts led to racist abuse against a women's group. It also said people searching for terms associated with white supremacy will instead be directed to sites that help people leave hate groups. White Nationalism ideology call on white people to protect and preserve white identity and culture. It calls on them to segregate from other races and 'ensure the survival of the white race' and the cultures of historically white states such as Europe. White Supremacists believe white people are superior to non-whites and should dominate them, going further than white nationalists who usually just want racial segregation. Many say White Nationalism is merely a sanitised version of White Supremacist ideology.